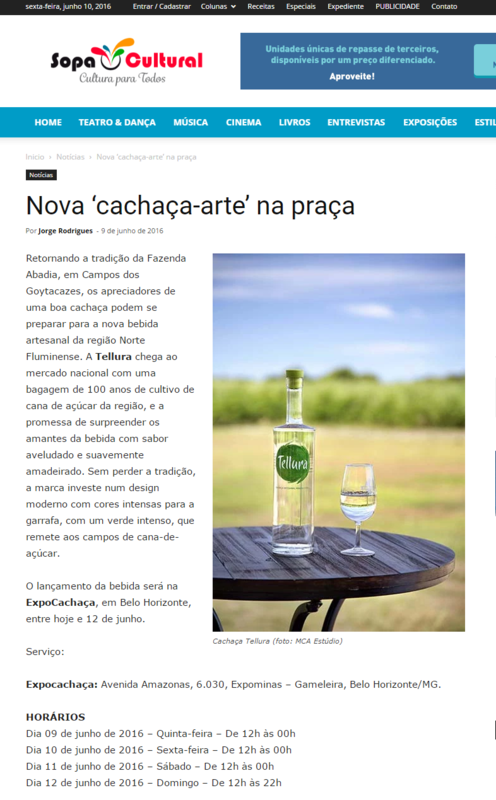 Returning the tradition of the Abadia Farm, in Campos dos Goytacazes, lovers of a good cachaça can prepare for the new craft drink of Norte Fluminense region. 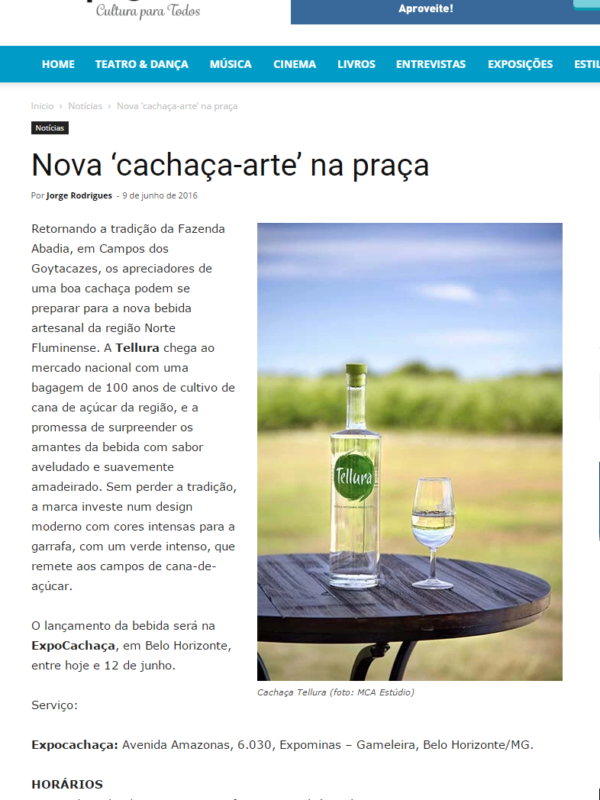 Cachaça Tellura reaches the national market with a history of 100 years of sugar cane cultivation, and the promise to surprise the drink lovers with velvety and gently woody flavor. Without losing the tradition, the brand invests in a modern design with bright colors for the bottle, with an intense green, which refers to the sugarcane fields. The launch of the drink will be at ExpoCachaça in Belo Horizonte, between now and June 12. Expocachaça: Avenida Amazonas, 6030, Expominas – Gameleira, Belo Horizonte / MG.